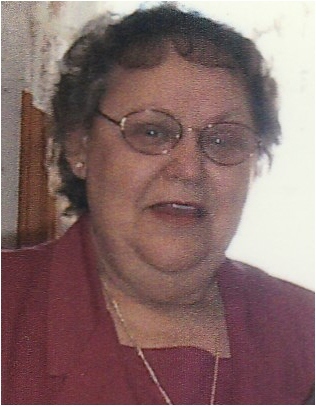 Betty E. Reeder, 79, of Galion, died Tuesday, January 15, 2019 at Mill Creek Nursing and Rehab, Galion, after a long illness. Betty was born in Mansfield, Ohio on August 30, 1939 to the late Raymond C. and Helen E. (Prosser) Miller. She married Jack L. Reeder on September 1, 1993 and he survives her. Betty was a member of the Loyal Order of the Moose Lodge #303. Betty enjoyed spending time with her family. She was a gardener and loved tending to her flower beds. She also enjoyed bird watching. In addition to her husband, Betty is survived by her three grandchildren, Kevin and Vickie Johnson, Bryan and Candice Johnson and Sierra Johnson; and her great-grandchildren, Taylor Johnson, Devin Johnson, Chelsee Johnson and Damien Johnson; her 7 sisters and 1 brother, Charles and Shirley Riddle of Galion, Patty Lawhorn of Mansfield, Arnold & Nancy Thompson of Mansfield, Ron and Mary Oden of Pennsylvania, Judy Owens of Mansfield, Argus and Maxine Middleton of Mansfield, Peggy Vargus of Mansfield, and Eugene and Penny Miller of Mansfield. Betty was preceded in death by her daughters, Martha Gay Johnson, Brenda Elieen Johnson and Barbara Ann Johnson; her brother, Raymond Jr. Miller; and her sister, Beverly Herritt. Friends may call Monday, January 21, 2019 from 11:00 am -1:00 pm at the Schneider-Gompf Funeral Home, 303 Portland Way North, Galion. Funeral services will immediately follow at 1:00 pm with Celebrant LeAnne Gompf officiating. Burial will follow in Fairview Cemetery, Galion. The Schneider-Gompf Funeral Home. 303 Portland Way North, Galion is honored to serve the family of Betty Reeder.